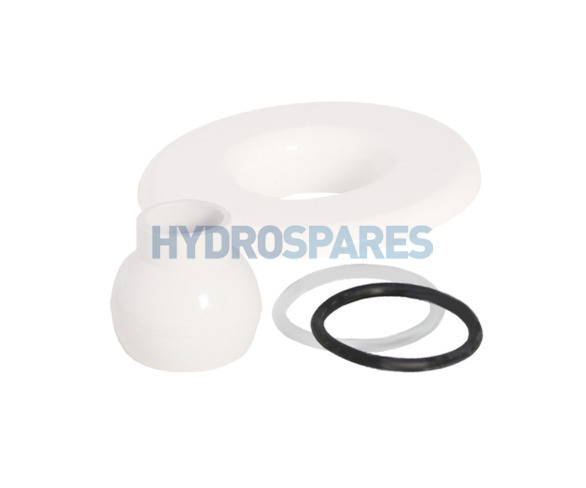 Replacement jet escutcheon kit for many of the HydroAir jets. Screw type fitment into wall fitting. White finish. Excellent product, excellent service and would definitely buy from this supplier again.